When the clock strikes 4:00 pm, you know what that means. It is time for your much-awaited Happy Hour! Canberra has a lot of workaholics who work the hardest and if you are one of them, don’t be afraid to indulge yourself sometimes. You deserve a treat. And what better way to treat yourself than a couple of cheap drinks? Canberra has an abundance of bars and restaurants and has made the mark to become one of Australia’s must-visit cities for a unique social experience. A glass of wine, a pint of beer and a good dose of conversation with family and friends can ease your stress after a long day. 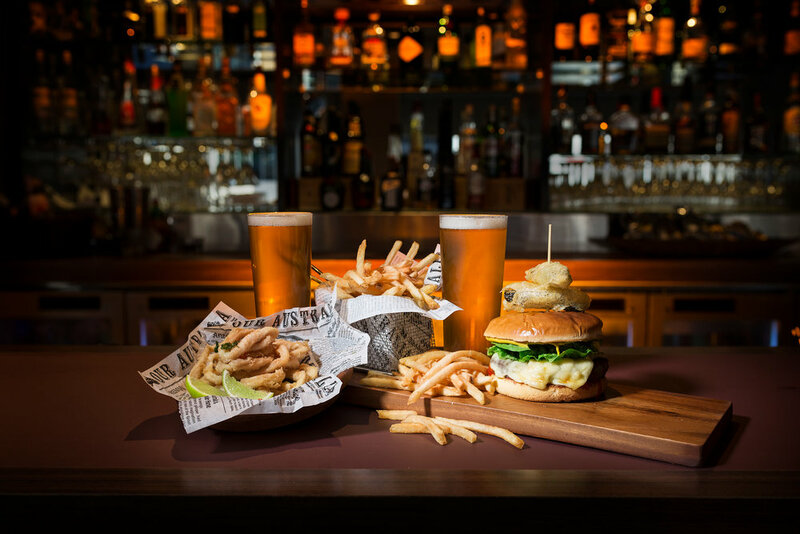 But if you are feeling guilty about saying “yes” to your workmate’s happy hour invitation, here are a few reasons to enjoy happy hour in Canberra. Feeling a little libatious after a full day’s work? Join us for Happy Hour at First Edition Canberra. Enjoy $6 house drinks including wine and beer every day from 5:00 pm to 6:00 pm. We also serve a variety of lunch and dinner selections, best paired with a glass of wine or cocktail drink. Grab five of your friends or colleagues and book your spot at First Edition Canberra! Get complimentary drink vouchers and VIP seating. Signature food packages are also available. 1. It’s the perfect time to socialise with coworkers and friends. They say some of the best moments in life are done over drinks. Spending time together with your friends and colleagues will improve your relationships with them. You will be able to learn about them more than you can in a day-to-day interaction. For workmates, you may be able to discuss work-related stuff freely that you haven’t had time to discuss in the office. For friends, you may be able to discover some shared interests and skills that you are previously unaware of. Spending a couple of drinks during happy hour will ease the usually shy and reserved people into becoming more open. Talk about everything from cocktail recipes to science fiction. Happy hour creates the perfect environment to relax and socialise. 2. Drinking booze moderately during happy hour is good for you. Indeed, drinking too much liquor is bad for you, but if done moderately, it does wonders to your health. According to the National Health and Medical Research Council, alcohol has some health benefits at low levels of consumption. Many studies cited by the council suggest that drinking reduces the risk of cardiovascular and cerebrovascular disorders and ischaemic stroke. Combined with socialisation with friends and colleagues, happy hour benefits your psychological health. Spending time with people and talking about a variety of interests can lower the risk of depression and help you live longer. As always, drink responsibly. Set limits and stick to them. 3. Save up with discounted drinks. Going out of town and hitting the bars and restaurants for drinks can get pretty expensive. If you want to maintain an active nightlife in Canberra, your expenses can rack up. Happy hour is the best time to hit up your favorite restaurant because the price of drinks will be at their lowest all night. You should never pass this opportunity up. Wind down at the end of the day for Happy Hour Canberra with First Edition Canberra Restaurant. Come everyday from 4:00 pm to 6:00 pm to enjoy house drinks priced at $6 including wine and beer. Enjoy our tap beer and bottled beer offerings with friends or talk with colleagues over our signature cocktails. Check out our happy hour menu for more information. Contact us online or call +61 (0) 2 6245 5000 for table reservations.